9to5mac is reporting that the AppleTV will be able to play any h.264 encoded video sent from the iPhone/iPad. This means that as you surf the web and discover something interesting to play you can stream it to your AppleTV. This is huge as it essentially validate my toughts that an iPad + AppleTV will be a GoogleTV killer. Use the iPad to do all the serching and simply display up on the AppleTV the videos you have found. As simple as that. Add to this the potential of streaming applications to the AppleTV once an AppStore is created and you got a game changer product. 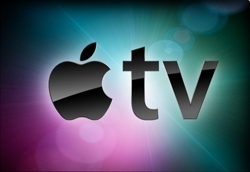 Airplay is Apple’s ‘Go to Market’ Internet TV strategy | 9 to 5 Mac.